Thank you for visiting FOX NAIJA NEWS, a site presented to you by FOX NAIJA, Group Inc. ("F.N.G"). Portions of our privacy statement that summarize our advertising practices are excerpted below. Your privacy is important to us. Our full privacy statement can be found here. 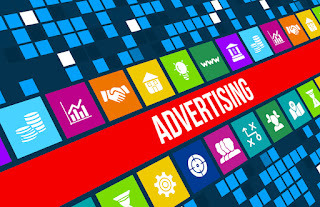 We provide this summary of our advertising practices as well as our complete privacy statement to explain our online information practices and the choices you can make about the way your information is collected and used at this F.N.G site, and among F.N.G network of affiliated websites ("F.N.G Network"), which includes any sites or services owned, operated or offered by or on behalf of F.N.G or its affiliates. F.N.G Network sites covered by this privacy statement sometimes may offer content (e.g., contests, sweepstakes, or promotions) that is sponsored by or co-branded with identified third parties. By virtue of these relationships, the third parties may obtain personally identifiable information that visitors voluntarily submit to participate in the site activity. We have no control over these third parties' use of this information. The site will notify you at the time of requesting personally identifiable information if these third parties will obtain such information. For additional information please visit our privacy statement here.